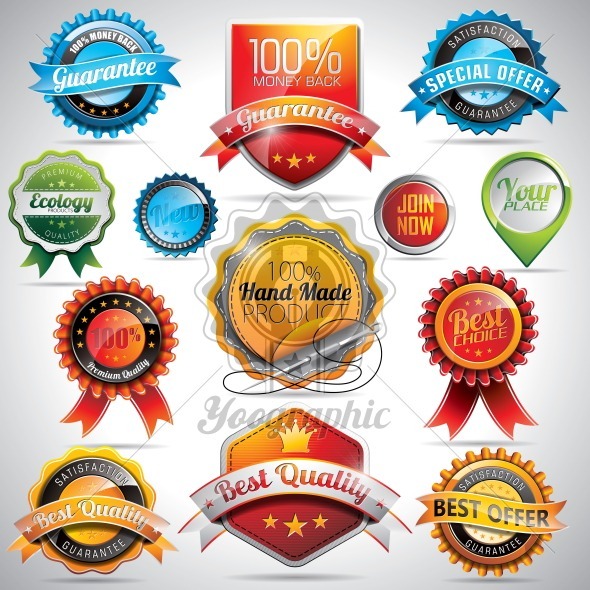 Vector set of labels and badges illustration with shiny styled design on a clear background. Vector set of labels and badges illustration with shiny styled design on a clear background. EPS 10.